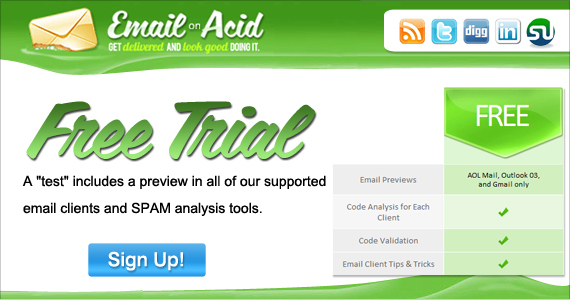 Get a free email test preview in multiple email clients and SPAM analysis tools. Our free test not only renders your code in the most popular email clients, it also shows you exactly which lines of code are not supported by each client. Correct email rendering is essential to protect your brand. Designing and coding an HTML email that renders consistently across all major email clients can be very time-consuming and downright frustrating. Preview your email in 48 variations of the most popular email clients and mobile devices. Identify your rendering issues fast with code validation and analysis. Efficiently optimize each of your emails for user readability and performance prior to sending. 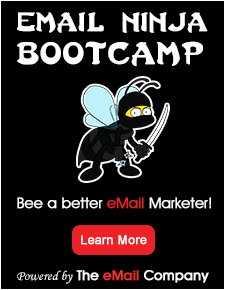 Determine which spam filters are flagging your emails and sending them to the junk folder. Get delivered and look good doing it with Email on Acid! 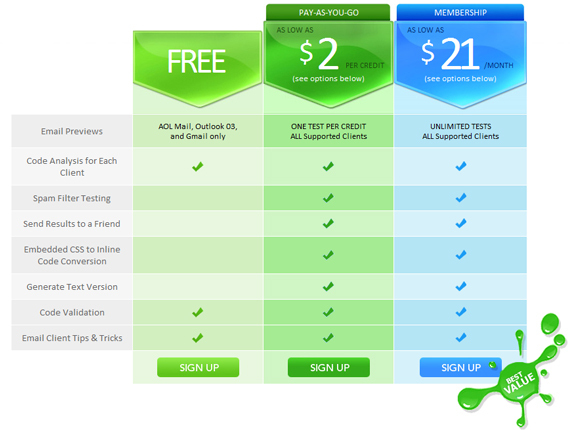 Give us a free trial, then pay as you go for as little as $2 per test credit or take advantage of unlimited tests for as low as $21 per month. There are no hidden fees and you can cancel at any time. 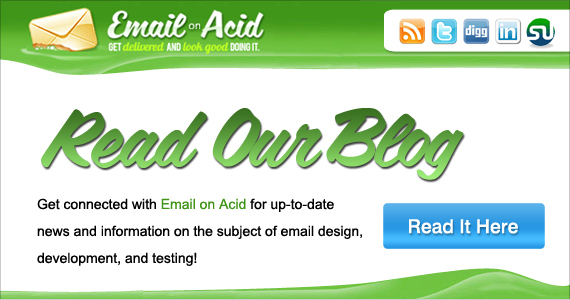 Find timely tips, news and information about email design, development and testing on our blog! Our online forum also offers specific do’s and don’ts and helpful hints – a great place to ask questions, share information about email clients, get technical support and even find and post jobs. Announcing the official launch of Emailology.org! 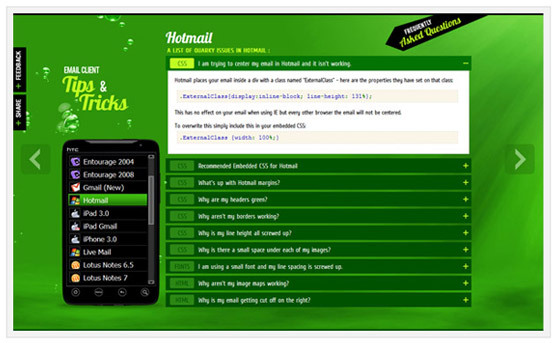 This site is jam packed with tools and information for developing HTML emails including a boilerplate template, email client tips & tricks, a reference for universally supported HTML/CSS and a special character converter. 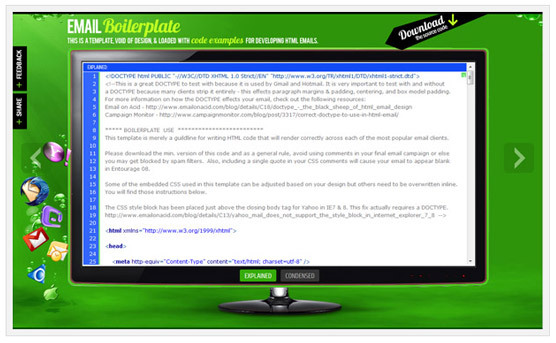 A little while back, Sean Powell came up with a brilliant idea for developing an email boilerplate. It’s an HTML template that is stripped of any design, but contains recommendations for DOCTYPE, embedded CSS, and sample HTML coding for tables and text links. We liked the idea so much that we reached out to Sean in an attempt to collaborate and we just launched an updated version on Emailology.org. This boilerplate is jam packed with additional features like setting universal fonts, using background images, bulleted lists, media queries for mobile devices, embedding video and much more. It serves as a great starting point for any email job and will save you loads of time when testing. 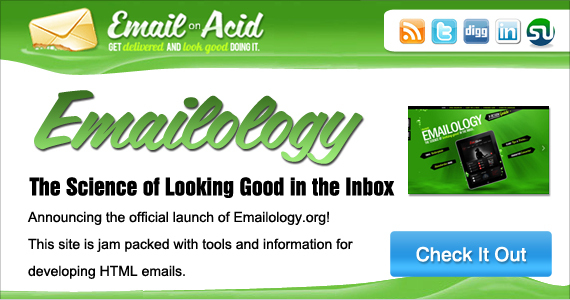 We included our popular email client tips & tricks on this initial release of Emailology. This is an organized collaboration of common questions and quick fixes for issues you might face when developing HTML emails. We’d like to send a special thanks to all of the people who have submitted questions and answers via our Acid Test and in our community forum! We sincerely hope other developers who follow in your footsteps will find this resource useful!